See also: Publications and here for an article published by the USGS’s Albuquerque Seismological Laboratory (ASL) on the performance of the Raspberry Shake. 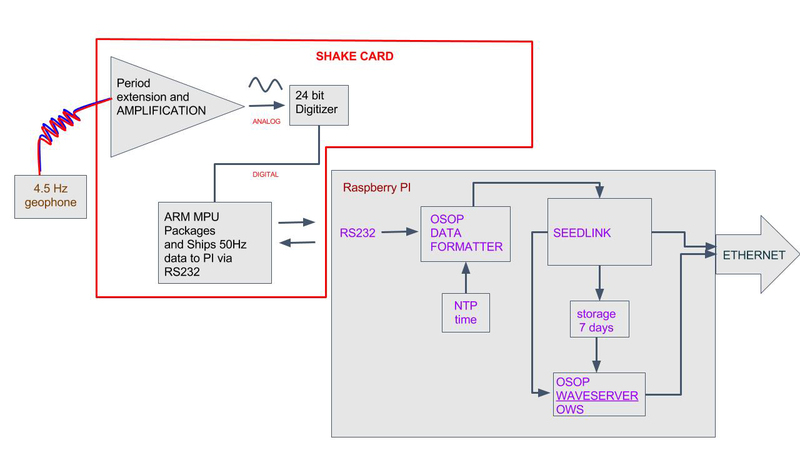 See How does the Raspberry Shake compare to a broadband seismometer? Storage is now user configurable and can be much longer than 7 days, which is the default. Raspberry Shake is also Wifi compatible. The Raspberry Shake RS1D, RS3D, RS4D and RS&BOOM velocity channels have flat frequency responses from ~0.5 Hertz (2 seconds) to 80% Nyquist, or ~40 Hz. See below to download a nominal instrument response file for your Raspberry Shake in SeisComP XML, RESP and/ or dataless SEED formats. If you have data forwarding turned on, then an instrument response file for your specific shake can be downloaded in XML format by clicking on your Raspberry Shake’s station icon at StationView. LOWER CORNER: This will be dictated by the sensor, not the RJAM. The RJAM’s response is flat to DC. UPPER CORNER: The RJAM operates at 100 sps and the high corner frequency will almost always be limited by this decimation routine used by the RJAM and not the sensor itself (most seismic sensors are designed to have flat frequency responses from the low corner frequency to past 50 Hz … We use the same decimation routine (FIR coefficients) for the RJAM as for all other RS products. On the RJAM itself it is possible to introduce a single pole low-pass filter (by including capacitors at C[a] and C[b]), these would generally be used to chomp off any noise from 50/60 cycles per second electric lines). SENSITIVITY: This will depend on the sensor and resistors used in the RJAM. You can determine this empirically with a step table (aka a calibration table) or Shake Table. The RJAM has a +/- 2.048 V differential input range. The RJAM is a 24-bit ADC, with 21 noise free bits. In all Raspberry Shake products, data packet time stamps are done using Network Timing Protocol (NTP) time. Timing quality is +/- 10 ms for all products. To give you an idea what this means, consider an earthquake’s P-wave traveling at a very fast 6000 m/s. With an uncertainty of +/- 10 ms, this translates into a location uncertainty of only +/- 60 meters. For lower P-wave velocities, the uncertainties diminish. This uncertainty is well within a reasonable margin of error for locating earthquakes. Click here for even more timing details: NTP and GPS timing details. Any Ethernet- or Wifi-capable Raspberry Pi (RPi) computer can, theoretically, be supported. The only information we need to support an old or new model of the RPi is the serial port where data is read from, where the basic rule is for some specific models the tty port is named /dev/ttyS0 (e.g., Revisions 9000c1 and 920093) and for all others (as a catch-all condition) the tty name is /dev/ttyAMA0. There is a physical limitation: with the exception of the RS1D, all Raspberry Shake boards have 4 mounting holes. This means that the older Model B which has 2 diagonally positioned mounting holes, is not supported. The Model A+ is also not “technically” supported for this same reason, but all of the software does run on it. You can find Raspberry Shake model-specific information below. Due to the form factor of the Model B (2 mounting holes diagonally-positioned), the Model B is not supported. All other pins are available for use. Some have specific functions such as pins 27 and 28, but the others can all be used for general purpose or their specific functions. 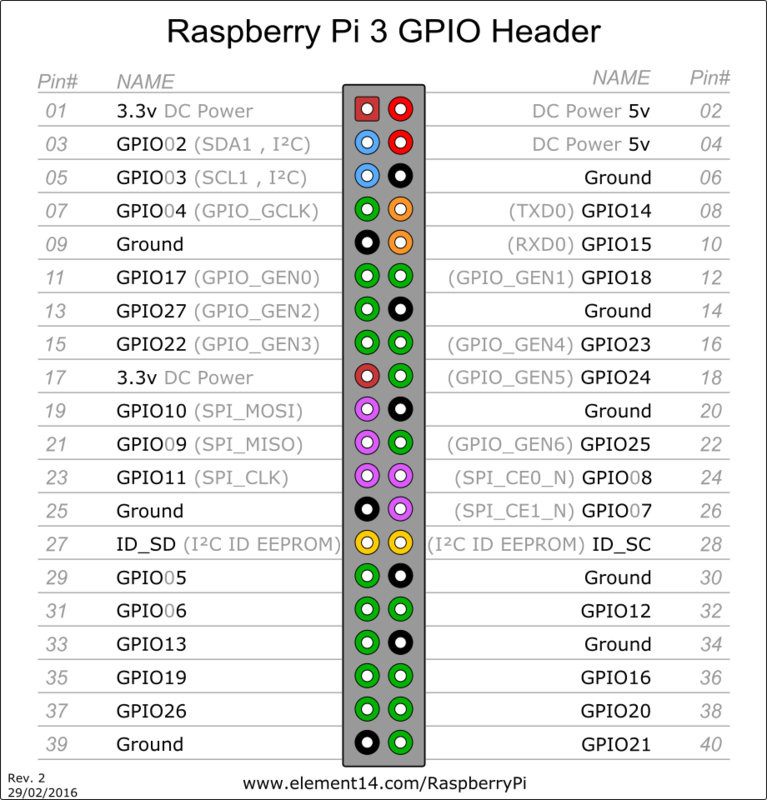 The header on the Raspberry Pi computer is the same for the Model B+, 2 Model B, 3 Model B(+), Zero, Zero W(H).